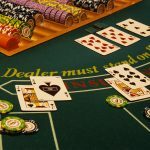 One of the most important aspects of responsible online casino money gambling is paying careful attention to money management. What the heck is money management? First and foremost it is the ability to monitor how much you will spend on gambling. 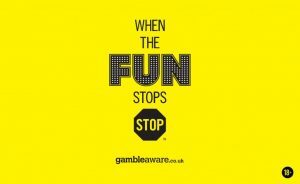 Reckless spending causes the most problems in gambling as it identifies a lack of understanding for the basic principles of playing responsibly. Second money management is the ability to play proportionally to ones bankroll. This will ensure the use of your money available for gambling in the most efficient manner. 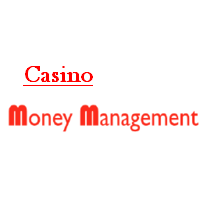 Here are some money management skills you need to consider when playing casino games. Decide before starting to play what your bankroll is for the session. Your bankroll is the funds that you have set aside for gambling. Don’t get caught up and spend more than you initially decide upon. This requires discipline! You need to decide before you start playing how much money would be considered a winning session for you. Be realistic. Choose your bets wisely and play proportionally to your bankroll. If your bankroll is $100.00 don’t play $25.00 hands! Chances are you will play a minimum of four hands and be disappointed with your experience. However, with a $100.00 bankroll if you play $5.00 bets you will play at least 20 hands and if you play $1.00 bets you will play at least 100 hands. Therefore playing proportionally to your bankroll improves your odds as your session will last that much longer and increases your chance of winning. Stay sharp and alert. Playing for long periods of times can make one tired and reckless. If you are fatigued quit while you may still be ahead. If you find yourself in the midst of a losing streak it’s better to just accept it. Avoid chasing your losses. Chances are you will blow your bankroll under these less than optimum conditions. Emotional tendencies can also lead to recklessness. Try and stay calm and stick to the basic strategy. Most importantly, know when to leave! 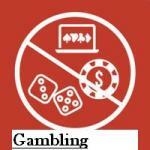 If you keep these rules in mind you will help have a more enjoyable online casino gambling experience. Good luck with your play.